Players eligible for the FCBL are NCAA and or NAIA athlete's who have eligibility remaining in accordance with NCAA regulations. It is not permissible for non-NCAA/NAIA students (i.e., former college players), nor players who are under current professional contract in the sport of baseball, to participate in the FCBL. In order to participate in the FCBL, a student-athlete must receive written permission from his university. Each team’s manager and coaches will recruit talented, eligible college players from New England, and around the United States and Canada to make up their respective team roster. Please note, the league DOES NOT recruit. That is the job of the individual franchises, if you wish to play in the FCBL please contact the teams themselves. 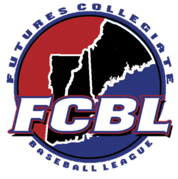 The futures Collegiate Baseball League of New England will be holding it's 2019 open tryout on Friday, May 24th at Libby Field, 92 Middle Street Weymouth, Mass. Registration fee for the tryout is $50. Position player registration will begin at 8am with a tryout start time of 9am. Pitcher registration will begin at 9:30am, tryout will begin at 10am. The tryout will be held rain or shine. Libby Field is an all turf baseball only facility. There are to be no metal spikes permitted on the field, even as a pitcher. There are no seed, gum, or tabbaco allowed at the facility. Each team will do it's best to make employment available to its players. Each team may accomplish this by coordinating their efforts with the local chamber of commerce, other business, and community groups to find local businesses that will offer summer employment to their team’s players. Each team’s General Manager will work to find each player on their team a host family to provide them a safe, comfortable family environment at no charge. If you are an eligible college player and wish to play in the FCBL in 2018, please scroll over the teams tab on this web site and then click on the individual franchise that you are interested in playing for. At each franchise's page there will be contact information for the coach and General Manager, please e-mail the coach of the team you are interested in.